Today at the Whyte's Auction I sold almost my entire coin collection. I have been collecting coins since I was a boy and have enjoyed having them over the years. However, in recent years I have stopped purchasing coins at fairs and coin shops - I had really lost interest. 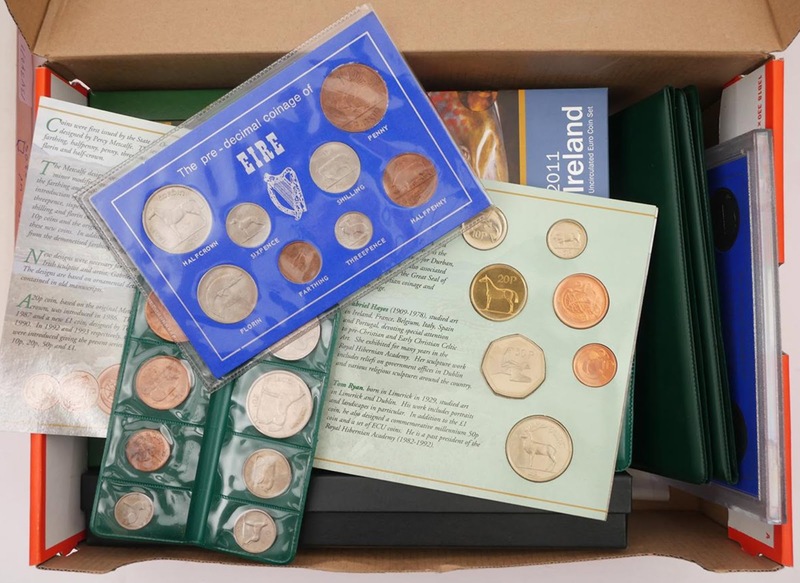 Last September I went to Whyte's Auctioneers in Molesworth Street with a suitcase full of coins. The suitcase was divided into nine lots for the auction - some, such as the 1986 coin set below, sold for less than the guide price, but others, such as the box of collectibles below, made more than the guide price. While I felt a little sad at selling some coins I've had for over 40 years - I also felt it was time to let go. I hope whoever has bought them enjoys these coins. I didn't expect to make a lot of money on coins over the years. Many of the official Mint sets I purchased were worth less than what I paid for them, and I am certain that I paid far more than the sales total that I received today. 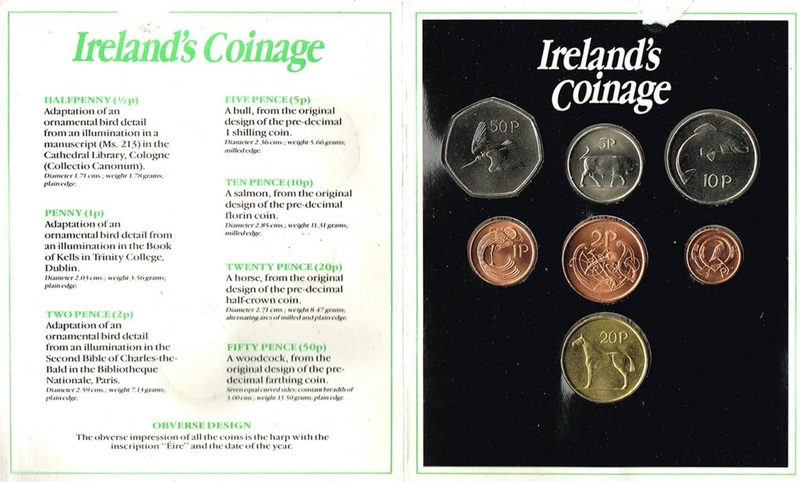 None of the individual coins or sets were rare or valuable - though the 1986 set below sold for €240 (it was estimated to sell for up to €400).